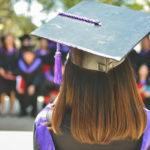 Though there is still debate as to whether it is within the purview of California’s two-year colleges to offer bachelor degrees, this argument reflects the same discussion that took place when CSU institutions began offering doctoral programs; the education system must evolve with demand and need. In early 2015, a group of 15 two-year colleges across California were selected to offer bachelor’s degree programs in specific, high-demand fields—the first four-year degree programs to be offered by community colleges in the state. With this move, California becomes the 22nd state to have two-year colleges offer four-year degrees. The change has not been without criticism and in this interview Bonnie Suderman, whose college won the opportunity to offer a bachelor’s degree in airframe manufacturing, reflects on some of the critiques, shares her thoughts on why it’s critical for community colleges to gain the capacity to offer bachelor’s degrees and discusses some of the challenges involved with actually launching these programs. 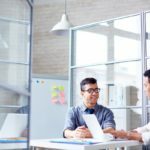 The EvoLLLution (Evo): Why is it important for two-year colleges to be allowed to offer bachelor’s degree programs? Bonnie Suderman (BS): Two-year colleges in California hold a unique place in higher education. Our mission is to provide an open-entry option for a college education that is community-based and cost effective. We emphasize course offerings in Basic Skills (pre-collegiate), Transfer, and Career and Technical Education. We strive to have a strong connection to our community so that we can adjust to meet the needs of local employers while providing educational opportunities for our students to be able to transfer to a university or improve their local employment opportunities. Because of this connection, we become aware of training and educational needs in our communities that are not being met, either by our own curriculum or by partnering with local universities to bring their baccalaureate programs here. The baccalaureate degree opportunity has allowed us to develop a four-year degree in an area where it was not required before, but where local industry has a strong, demonstrated need. Bottom line: it allows us to better meet the needs of our students and local industry, which is our mission. Evo: How would you respond to the critique that offering bachelor degree programs at two-year colleges works against the mission of the college and, in California, the Master Plan? BS: I will admit that, when I first heard about this opportunity, I had some of the same questions about the college mission and the Master Plan. But this is a very similar discussion to what took place when the California State University (CSU) system first proposed offering the Doctoral Degree in Education, which had traditionally been the purview of the University of California (UC) system. The growing pains that were felt in that discussion were repeated in this move. It is important to understand, however, that there are unique parameters for the baccalaureate option in California Community Colleges. First, our degrees can only be offered in fields not currently served by the CSUs or UCs, so Antelope Valley College is not offering a four-year degree in engineering, for instance. In addition, our degrees must be based upon a demonstrated need in local industry, and the Antelope Valley aerospace industry leaders have worked closely with us to determine the need for industry line leads in local manufacturing. Our industry partners have access to students who graduate with baccalaureate degrees in engineering; what they needed were employees who would be a team lead in a more hands-on sector of the process. To add to that, our students who had already earned an AA or certificate in Airframe Fabrication and Assembly and Aviation Airframe had jobs, but lacked the ability to gain the additional training necessary to move forward at the workplace. Thus, the development of our Airframe Manufacturing Technology degree. Evo: What are some of the challenges you are facing in developing AVC’s program in Airframe Manufacturing Technology? BS: One of the first challenges we faced was that need to educate our industry partners in the timeframe for offering this degree. Business is able to move much more nimbly than the educational system, and we needed to manage expectations that we would be opening the doors for this degree in a matter of months. Our curriculum and program development process is complex and time consuming, but it is imperative that these new classes be acknowledged as legitimate and be transferrable. We are ready to move forward, but this takes time to do it well. Another challenge has been one we have faced within our own California Community College System. We have had spirited and impassioned discussions on the general education requirements the system will impose for these degrees—what is appropriate for a four-year degree that is in a career and technical education area while maintaining the broad-based academic rigor in the degree? It opens up ideas that we, as a system, have not dealt with before. How will the degrees be accredited and who will do it? How do we get curriculum approved—do we use the same systems as we do for our associate degrees? How do we set up admissions—do we require a portfolio? Offer options to remediate? Require additional prerequisites or only require the associate degree to move into the bachelor’s program? How do we maintain our open-door policy while maintaining the rigor of a baccalaureate degree program? What are the legal issues surrounding financial aid and our BS students? As we move through this process we are fortunate to be partnered with the California Community College Chancellor’s office and the other fourteen colleges who have been approved to develop a baccalaureate degree. We are working our way through these challenges together and learning from each other. Evo: What advice do you have to share with other two-year college leaders who are in the process of developing bachelor’s programs of their own? BS: This is a team project. I am convinced that one of the reasons why Antelope Valley College was chosen from the many colleges who applied to offer a degree is the commitment of the people I work with to the students they serve. I have a dean, department chair and faculty in this area who had already developed a very strong program that produced students who were so highly valued by local industry that they had jobs before they finished the program. I have a president who is truly excited about the prospect of developing something new that will provide more opportunities for our students, and who provides the support needed to take on a project of this magnitude. We have cultivated a strong working relationship with our local industry and political leaders that allows us to stretch our resources and try something new. We have maintained working relationships with other college leaders who are navigating this project as well, and take the time to listen and learn from them. All of this takes time, and sometimes I find myself itching to just hurry up get it done, but the foundations on a project like this are what will ensure that it continues long after we are gone. 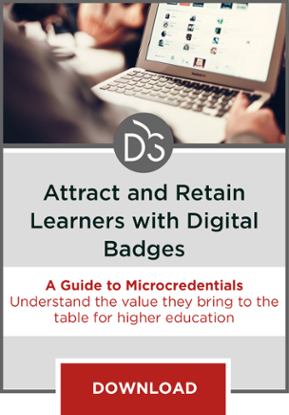 Microcredentials, MicroMasters, and Nanodegrees: What’s the Big Idea? Offering bachelor’s degrees in specific fields helps community colleges follow through on their mission to serve students while creating a more knowledgeable and prepared workforce in their community. The concerns in California surrounding the mission of two-year colleges in relation to the Master Plan are similar to the ones that were voiced when CSU institutions began offering doctoral programming. 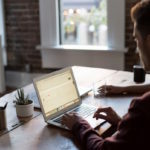 Ultimately, successfully developing four-year programs at two-year colleges requires support and passion across the entire institution and the patience to get the fundamental aspects of the program in place. I was pretty skeptical the first time I heard about this initiative, but the people involved really have thought it through based the decision on solid and practical reasoning. I think the reason Suderman is on board is the same reason so many other people are on board. I think as long as we stick to that practical reasoning, offering only programs that are required by local industry and that aren’t offered anywhere else. I think there’s a bit of a slippery slope effect with initiatives like this, but if we keep are eye on the ultimate goal of the project I think we will see some really positive outcomes.